Searching for wills and probate solicitors in Birmingham? 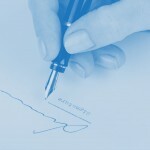 Are you looking for some power of attorney advice in Manchester? We have a network of family law branches all over the UK. Our highly experienced wills and probate solicitors are here to help to offer the very best family law advice. Wills and probate solicitors – who are you? Covering the whole of the UK we have versatile and dedicated wills and probate solicitors who offer the very highest level of executry law advice. Our network of wills and probate lawyers is made up of some of the very best executry law partners, associates and wills and probate solicitors, all of our lawyers specialise exclusively in all matters related to executry law. This is highly beneficial to anyone seeking private client advice as you can be absolutely assured that you will receive the very best private client advice. Wills and probate solicitors –what do you do? When someone dies, it will be necessary for their Estate and assets to be administered according to the laws of probate. Our highly experienced wills and probate solicitors appreciate that it can be an extremely difficult time. We truly understand how stressful it can be when applying for probate as this is the process in which someone applies for the right to deal with a deceased person’s estate. If there is a valid Will, it will be the executor who applies for a grant of probate, if there is no Will, or an executor does not wish to take on the responsibility, then someone else (such as a family member) can apply for letters of administration. If granted, he/she becomes the administrator of the estate and has the same powers as an executor. The probate process will vary depending upon the circumstances of the deceased person. 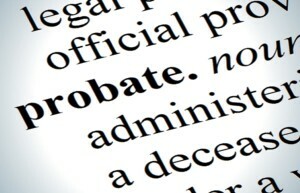 If it is quite simple the probate process can be as easy as Applying for a Grant of Probate, Administration of the Estate and Distributing the Estate, costs for this are normally pretty straight forward as well where most of our networks wills and probate solicitors will provide you with a fixed fee quotation with no hidden extras. We believe you will find our fees extremely competitive yet at the same time we will still provide you with a first class probate service. For advice get in touch today with local wills and probate solicitors by typing your town or city into the search bars above or below, you will see the page where you can call the local number or fill out a contact us form.